Alfa Romeo is known for its racing heritage and luxury Italian craftsmanship. With such power and impeccable style, the Alfa Romeo is a dream car for many drivers around Northern Virginia. What you may not realize is that owning your own Alfa Romeo model can become a reality. At Safford Alfa Romeo of Tysons Corner, we strive to help drivers get into their dream car, and we’ve been doing just that for years. With our incredible pricing on new Alfa Romeo models and quality used cars, we guarantee a luxury vehicle is more affordable than you may have once thought. We’ll also provide you with highly competitive pricing on all your service and maintenance needs once you drive off the lot. Our unbelievable pricing is just one reason to visit Safford Alfa Romeo of Tysons Corner today. 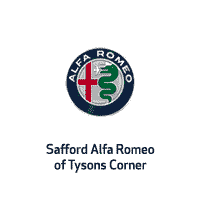 Safford Alfa Romeo of Tysons Corner is here to help you find your dream car, and that’s why we offer the largest selection of new Alfa Romeo models in the area. You may not already know that we offer sales specials on all Alfa Romeo models in order to make this luxury brand affordable for drivers around Northern Virginia. We even have specials going on right now on the Stelvio SUV that offers the capability of an SUV, all in one premium package. We also have the Giulia Sedan on our lot and competitively priced. Not to mention the special offers we have on the 4C that packs all the power and race-car ability your heart could desire. If you think you can’t afford a new Alfa Romeo, we strongly encourage you to think again. Along with specials on new Alfa Romeo models, we offer drivers around Virginia an incredible selection of premium pre-owned vehicles from just about every luxury brand on the market. Our pre-owned selection just can’t be match by other dealerships in the Vienna, VA area. While we put each vehicle through a meticulous inspection, you can be assured that you’re purchasing a vehicle that is in the best shape possible. We truly put owning a luxury vehicle within reach for drivers all over the Vienna and DC area. While Safford Alfa Romeo of Tysons Corner makes is possible for drivers around Washington DC to purchase a new Alfa Romeo or luxury pre-owned vehicle, we also know that drivers may worry about the maintenance costs. As we know maintenance and unexpected repairs can add up, we work to provide extremely competitive prices on the services your vehicle needs. From brake service to transmission diagnostics, our factory trained technicians can perform any service your vehicle may need. Our goal is help you keep your Alfa Romeo performing even better than the day you purchased it. Your total satisfaction is our goal each and every time you visit our service center. Convenient for drivers around Washington DC and Gaithersburg, we make servicing your Alfa Romeo simple and affordable. With our incredible specials on new Alfa Romeo models like the powerful, race-car driven C4 to the luxurious Stelvio SUV, you don’t have to dream any longer. A new Alfa Romeo is as affordable as its ever been. Our Finance Team will even work to get you the financing you need with the best rates possible. Once you drive off the lot, we will continue to be your automotive partner while providing you with the necessary services to keep your Alfa Romeo running optimally, all at a competitive price. Visit us today and let our friendly staff tell you more about how we can turn your dream of owning a luxury car a reality.